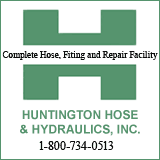 Huntington City Council unanimously passed four ordinances at its Tuesday, Oct. 9 meeting. Council has given a thumbs up to the Big Sandy Superstore Arena renovations (in the conference area), extending a legal service agreement for Development and Planning, transferring 5.3 acres of the Dietz Hollow Landfill to HURA, and removing parking restrictions around the former Fairfield Stadium and Memorial Fieldhouse. At the beginning of the meeting, Gary Ward, president of Classic Construction donated 100 smoke detectors to the Huntington Fire Department and made that an annual commitment for the next four years. 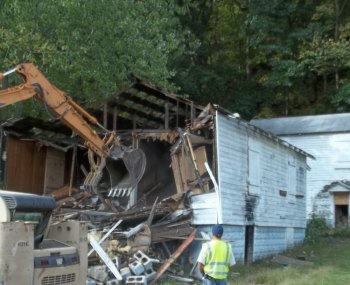 Charles Holly, director of development and planning, told council and the audience “I do not think we can give the WV National Guard (and others) enough thanks” for their work in tearing down , cleaning up and planting grass at the locations of 54 formerly dilapidated houses. Although he admitted some skepticism at the start of the bring 50 down in a month project , he beamed, that the houses came down with “military precision” through “herculean” efforts. Funds for the project came from the redemption of property that the landbank purchased on the court house steps. With the blighted structures removed, “we can now market” the properties. During Good and Welfare, Ray Canafax revealed that the set of ten firefighter rookies have started working at fire stations. However, he did observe that even with the new firefighters the 28 staffing had not always been met. In addition, he noted that the last union negotiation was July 25, 2012. Three first readings occurred. One would rezone a parcel at 21st Street West and Madison at the request of the Jefferson Avenue Church of God. There was no opposition. The proposal for updating illicit storm water discharge regulations moved to second reading. Council chairman Mark Bates said there was “no recommendation” from the storm water committee due to lack of a quorum. As anticipated from the work session, the proposal for a comprehensive outside study of the public works department will go back to the finance committee. “No identification has been made to pay for the contract other than the contingency fund,” at large councilman , Steve Williams explained.